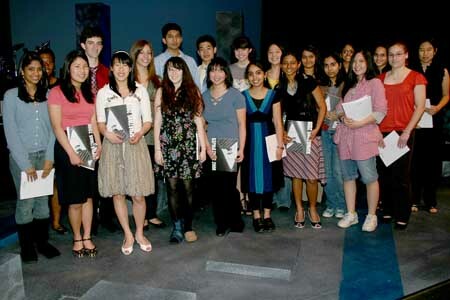 The works of 127 young writers, poets and artists are featured in the recently published 2009 edition of Aspirations, Mercer County Community College's literary and art journal for high school students. The college recognized these talented and inspired students in a special ceremony April 21. Selections included in Aspirations were made by a panel of high school teachers, college professors and graphic designers. MCCC Associate English Professor and Aspirations Editor Bettina Caluori, who served as master of ceremonies, noted her pleasure in reading the works of such creative young people. "These pages contain keen observations, both funny and serious," she said. "You offer youthful perspectives on being human that older readers will recognize too. You help us see through your eyes." Caluori thanked the many educators who helped make Aspirations possible. MCCC President Patricia Donohue added her words of congratulations, commending the students for participating in the Aspirations program and for sharing their talents with a wider audience. "Student success is the central focus at Mercer. Tonight, we celebrate your aspirations," Donohue said. Also participating were Robin Schore, Dean of Liberal Arts, and Judith Ehresman, Dean of Arts and Communication. MCCC students added to the special evening. 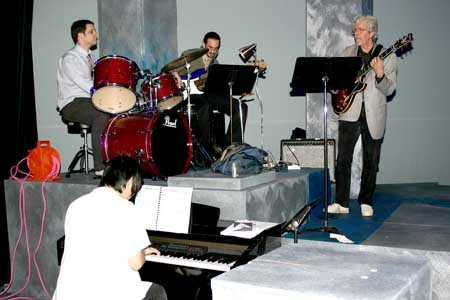 The event opened with selections by the MCCC Jazz Band under the direction of Professor James Kelly. Performing Arts students entertained the audience by reading selected poems from Aspirations and interpreting them through movement. 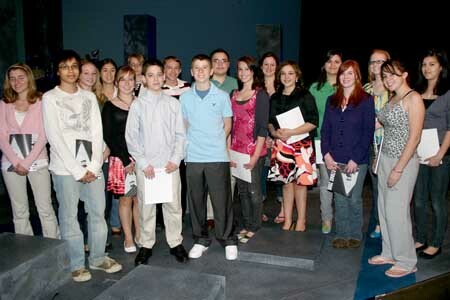 Performers included Jael Atchison, Kelsey Baker, Alejandro Hernandez, Charlene Jamison, Ben Knight, Stephanie Landau, Patrick Martin, Keegan McDonald, Laura Murey, Tommy Searl IV and Jessica Stanley. Students from the college's Hotel, Restaurant and Institution Management Program prepared hors d'oeuvres and desserts. Schools represented in Aspirations include Allentown, Hamilton West, Hightstown, Hopewell Valley, Lawrence, Nottingham, Robbinsville, SciCore Academy, Steinert, Trenton Catholic Academy and West Windsor-Plainsboro North. Aspirations has been published for more than 25 years. 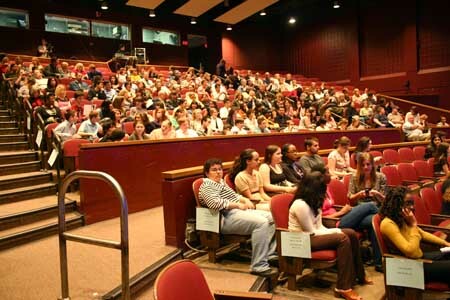 In addition to MCCC, the publication is made possible by the Mercer County Cultural and Heritage Commission through funding from the Mercer County Board of Chosen Freeholders, and the New Jersey State Council on the Arts/Department of State, a partner agency of the National Endowment for the Arts. Copies of Aspirations are available by calling the MCCC Liberal Arts Office at 609-570-3320. The crowd included family and friends.